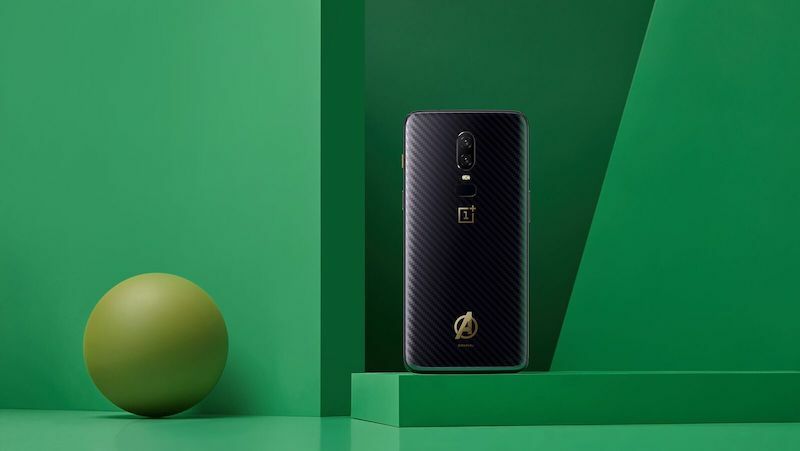 OnePlus, the Chinese smartphone company which announced the premium OnePlus 6 Marvel Avengers Limited Edition variant during its May 17 event in India has now confirmed the device will be up for sale in India on May 29, 2018. As you might be aware, it is a special edition flagship device, celebrating Marvel’s Avengers: Infinity War, which was released to the audience back in April. Also, the Marvel Limited Edition variant is the premium OnePlus 6 variant with 256GB of internal storage and 8GB of RAM. The OnePlus 6 is already available for purchase in two colour options- Midnight Black and Mirror Black, but the storage option goes up to 128GB only, not 256GB in any of the two colour options. Furthermore, the design of the Avengers Limited Edition variant is slightly different. The back of the phone is inspired by OnePlus’ community-favourite Karbon fibre case pattern infused into a beautiful glass design. The colour of the alert slider and the logo take inspiration from the powerful gauntlet honed by mighty Thanos. Also, every superhero wears a suit so a uniquely-designed case, OnePlus 6 Marvel Avengers Iron Man Case, has been specially created for the device and the best part is it comes bundled inside the box. This new variant is priced at Rs 44,999, and it’s the costliest OnePlus smartphone ever launched in India. The OnePlus 6 Marvel Avengers Limited Edition will be available from 12 PM on May 29, 2018, on Amazon India and oneplus.in. The device will be available across all offline stores including the Bangalore experience store, authorised stores and Croma stores across India, starting June 3, 2018. There are some launch offers as well. 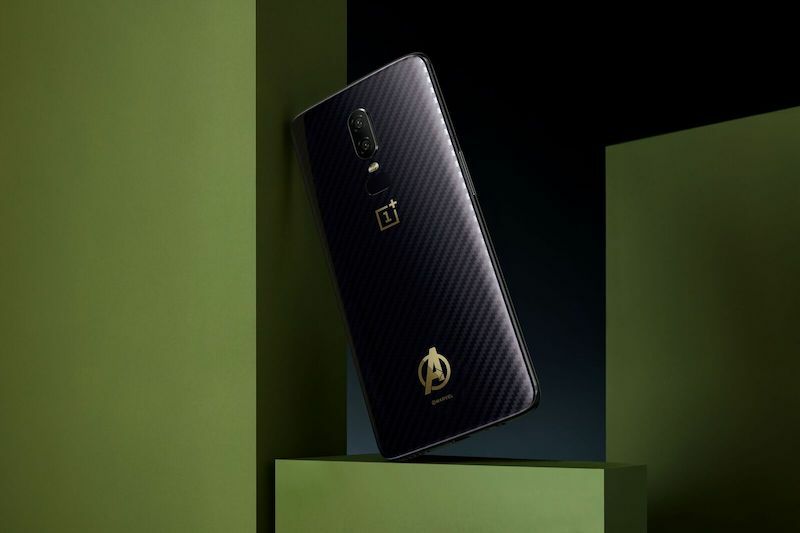 The OnePlus 6 Marvel Avengers Limited Edition customers can avail cashback of Rs 2,000 on transactions using Citibank Debit and Credit Card during the first week. They will also be eligible to avail No Cost EMI for up to 3 months on all popular banks. In addition to this, all OnePlus 6 Marvel Avengers Limited Edition customers will be eligible for 12-month Accidental Damage Insurance by Servify on downloading Kotak 811 app as well as Rs 250 for all Amazon Prime Video consumers and discounts up to Rs 500 on Amazon Kindle e-books. 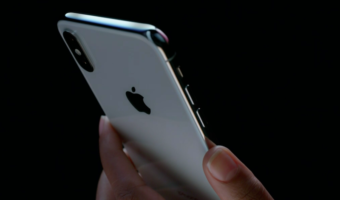 Other partner offers include up to Rs 2,000 cashback and Device Insurance for Idea subscribers and benefits up to Rs 25,000 on flight and hotel bookings from ClearTrip. The OnePlus 6 is already launched in four different colour options- Mirror Black, Midnight Black, Silk White and the Marvel Avengers Edition. And hopefully, OnePlus will not launch any new colour options in the future. The 6GB RAM and 64GB storage option of the device is priced at Rs 34,999, while the 8GB RAM and 128GB storage option sets you back by Rs 39,999. Dont fool yourself buying that for 44999. Op6 6+64 32999+1k OnePlus store off is best to buy. I got Op6 @31999. All good except glass and almost same battery, USB 2.0, same dash, notch. This could be lighter like OP5. Camera I didn’t check yet. Hey which app did you use for that screenshot?